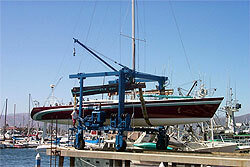 The Ventura Harbor Boatyard has the largest travelift capacity of any boatyard between San Diego and San Francisco. 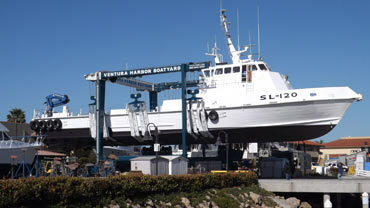 Ventura Harbor Boatyard’s 4.5 acre facility encompass a 35 Ton Travelift servicing the small vessel boatyard and a 220 Ton Travelift servicing the adjacent large vessel boatyard. Located approximately 60 miles north of Los Angeles with the Channel Islands just 18 miles off the harbor entrance, we service vessels from San Francisco to San Diego as well as the itinerant cruisers and off shore commercial fishing boats. Ventura Harbor is easily accessed via the 101 freeway. From the north, exit Seaward Ave. and turn left on Harbor Blvd. to Spinnaker Drive. From the south, exit Victoria Ave. turning left, travel south to Olivas Park Dr. and turn right. Olivas Park Dr. becomes Spinnaker Dr. at the harbor entrance. 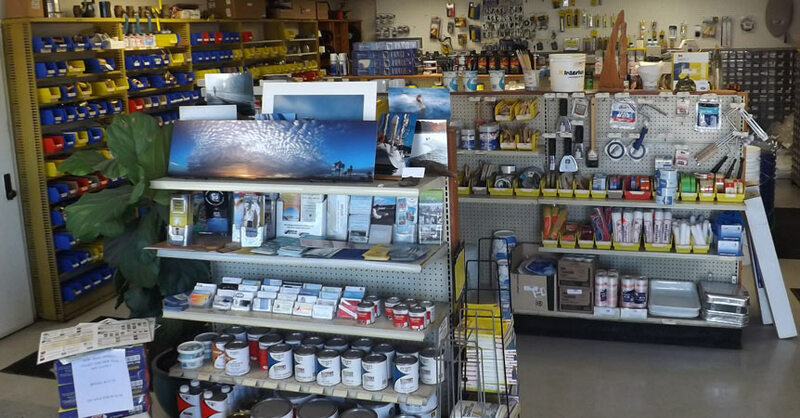 Large selection of nuts, bolts, zincs, fittings, electrical wire, packing, painting supplies & much more. Open to the public at the Ventura Harbor Monday through Friday 8AM – 5PM, Saturday 8AM – 12PM. Our staff is ready to answer your questions. Simple fill out this form and we’ll respond back with more information about your request. Not sure about something? Call us!